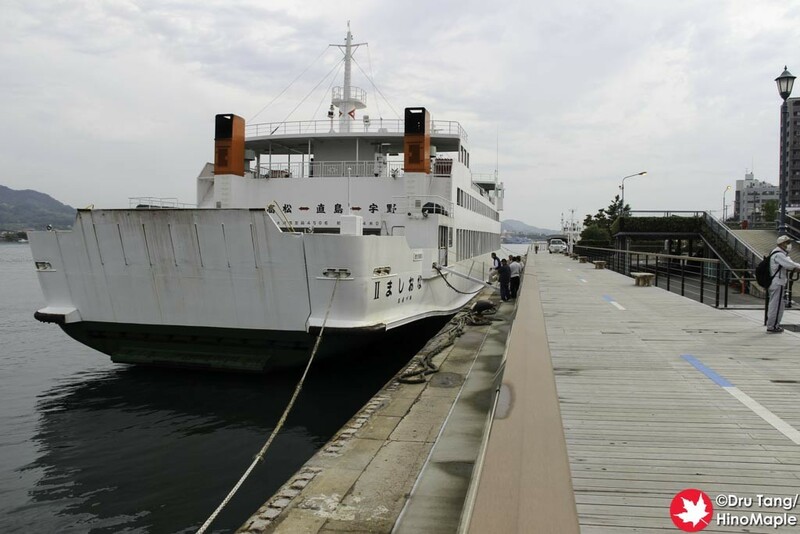 While in Onomichi, I was able to see something interesting, the changing ownership of a ship. 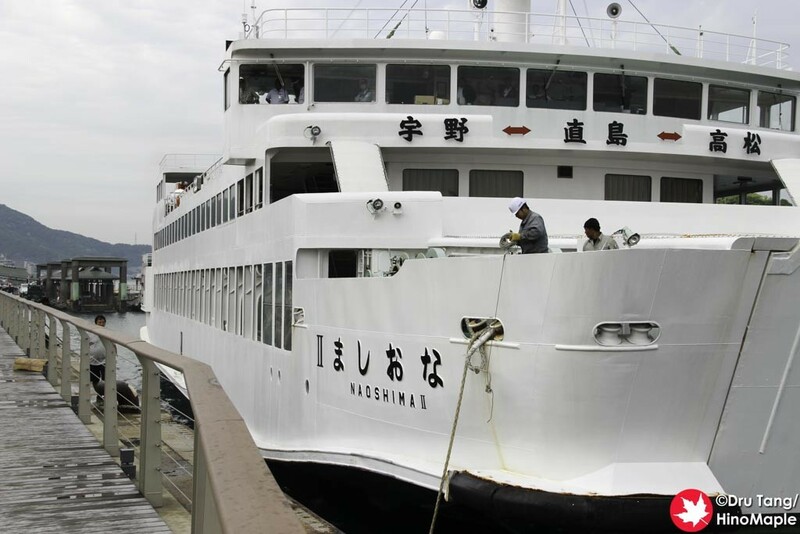 On the second day I was in Onomichi, I was able to see the Naoshima come in and dock near the Onomichi U2. Since I had a lot of time, I just hung out on the wharf having a couple beers as I had a couple hours before I could check into my hotel. It was and interesting situation to watch. When I arrived at the Naoshima II, it had just docked and they were securing the lines to the port. I also saw a few people on the bridge but they didn’t look Japanese. I thought this looked strange as it also looked like they were showing them how to pilot the boat. It turned out that is exactly what they were doing. A few minutes later, I noticed a lot of Indonesians coming out of Onomichi U2. I wouldn’t have known they are Indonesian except that one of them was an engineer and his hardhat had the Indonesian flag on it. The women also gave it away as a few of them had a hijab on. While the hijab would only suggest SE Asian, the flag on the engineer’s hardhat was the dead giveaway. As I headed out for dinner, I noticed they changed the name of the boat. The Naoshima II was definitely changing hands. 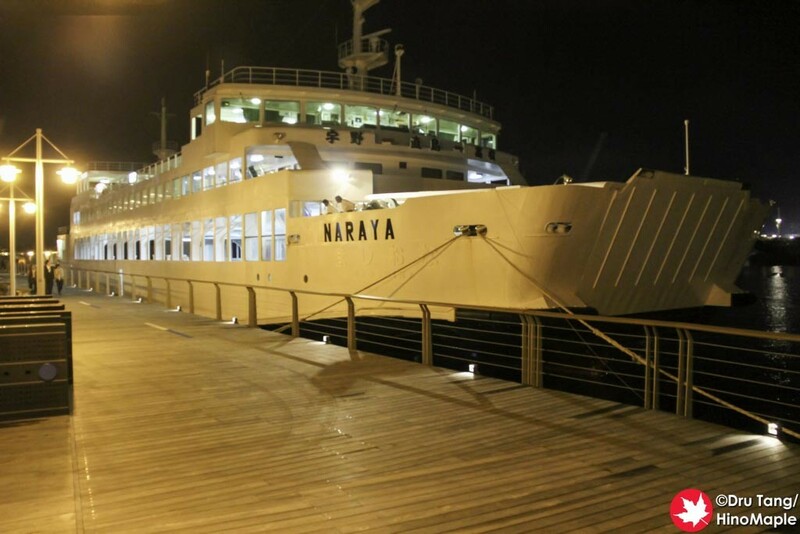 The new Indonesian owners called it Naraya and from what I could tell, it would be plying the waters somewhere in Indonesia, probably the main island. I had no information on it as the last reported location was off the coast of Taiwan a few days after my trip to Onomichi. 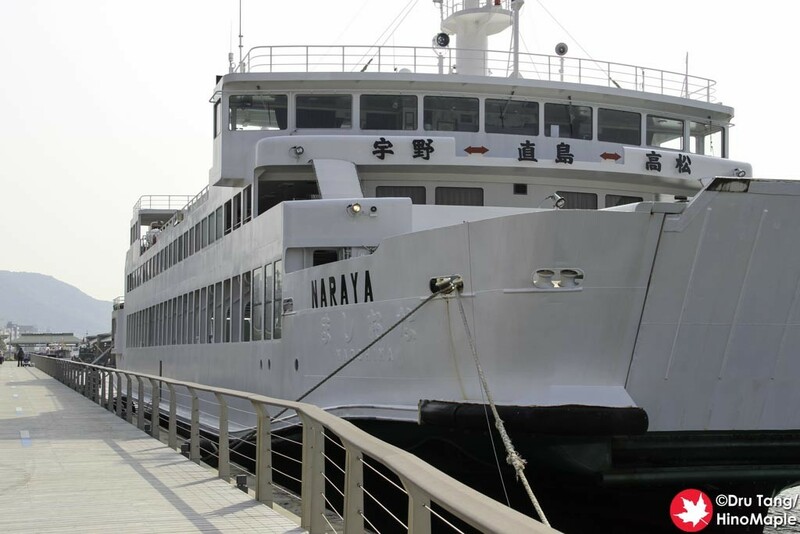 The ship is a beautiful ship and brought back a lot of memories of me going to Naoshima. 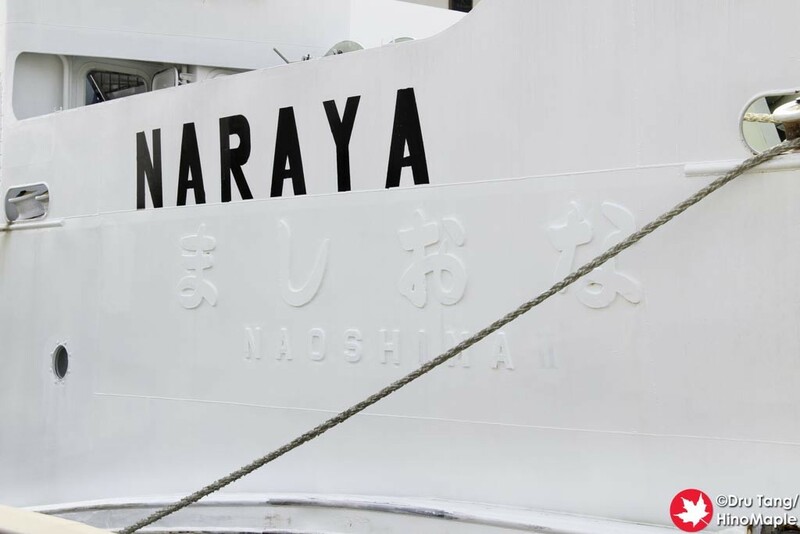 The Naoshima II used to ply the waters between Takamatsu, Naoshima, and Uno. I hope she will have a wonderful second life in Indonesia and that she will help people get to their destinations. 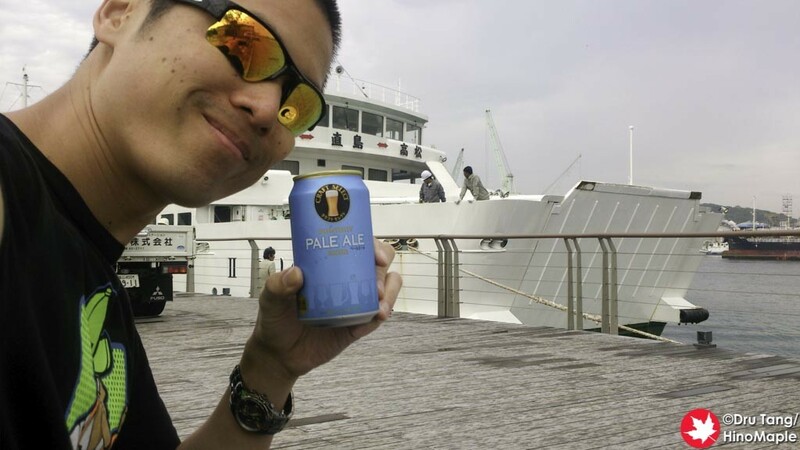 This entry was posted in Boats, Chugoku and tagged ferry, Indonesia, japan, Naoshima, Naoshima II, Naraya, Onomichi, Ship, Takamatsu, Uno by Dru. Bookmark the permalink. Can such a ferry “sail” to Indonesia? Funny, I may have ridden that ferry once or twice. 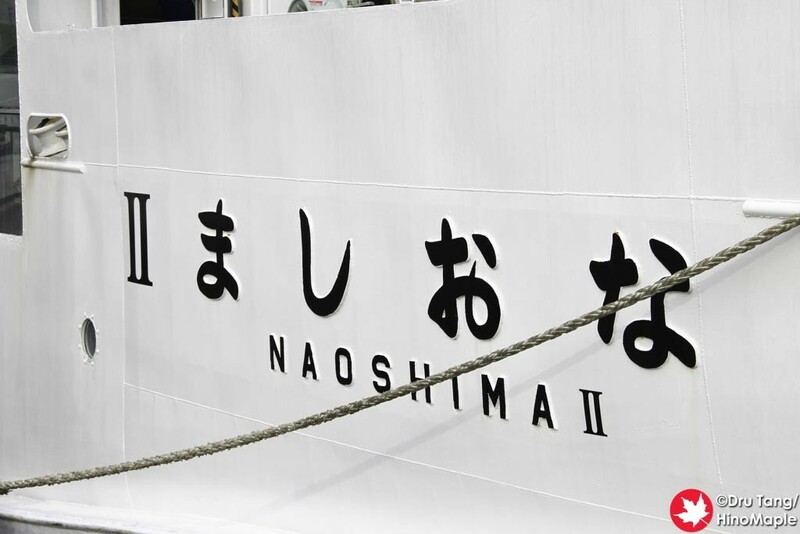 With all the money they’re making the Naoshima ferry company (whose name I’m forgetting) has gotten some brand new boats recently, so I guess that’s why they’re getting rid of the old ones. I would assume such a ferry would have no problems. The only thing they might have to do is make more stops at different ports for fuel. Assuming that the ferry doesn’t need to refuel until the end of the day, they shouldn’t have any problems. Lots of ports along the way. Nice to know they have some new ones. I find that a lot of Japanese infrastructure (trains and boats) are being sent to Indonesia. Tokyo Metro had a small scandal when they sold their old stock to Jakarta, but they tend to not maintain them properly and the air conditioning units become broken after a year or so. Hope to ride the new ferries this year. I was mostly wondering about rough seas, storms and similar difficult weather. I have a hard time imagining this ferry sailing through that. But who knows? It’s not like I know anything about boats. Ah. Well I would assume it would be strong enough. Plus, there were no cars loaded so it should have been okay. As long as the compartments are sealed, should be okay, and I think there were no typhoons at that time too so they were lucky on that front. That is so interesting! You hear about trains and ships being transferred to other countries to begin their next life…but I’ve never seen the process before. PS: Did you get a new computer? Welcome back to commenting!